The Logan Legacy continues this week with a look at another character affected by Wolverine’s recent demise. Lady Deathstrike has always had a deep connection to Wolverine, because the adamantium metal that was bonded to his bones was done so with stolen tech from her father. Which, then makes her crazy and hell bent on exacting revenge upon Wolverine, because, well, reasons. Marguerite Bennet writes the story, while Juan Doe tackles the art, including the cover. 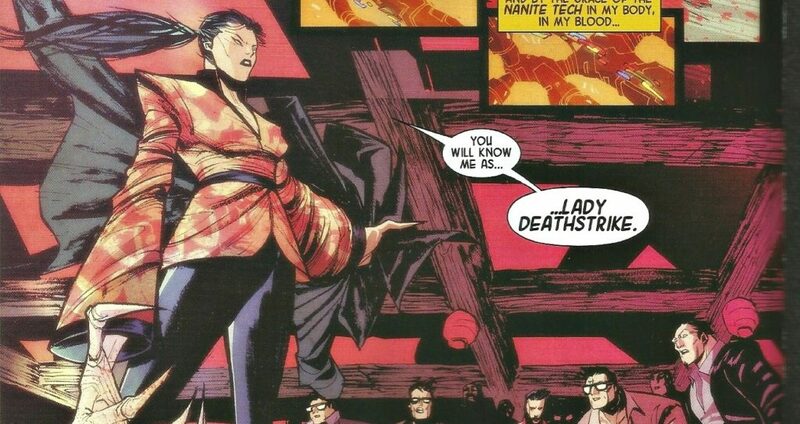 The thing with Lady Deathstrike, for the uninitiated, or those who only know her from the movies, is that she has cybernetic enhancements. She has been bonded with Nanite technology, which in the comic books can do some pretty crazy things to the human body. Deathstrike can regenerate pretty quickly, and can hyperextend her arms and fingers into lethal talons. 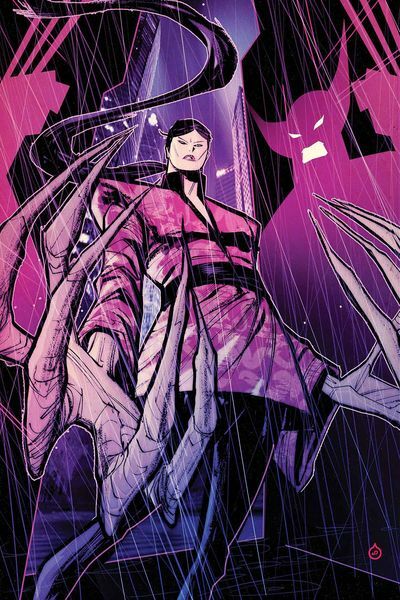 The cover gives a great low view of her, making her larger than life, and the ever present shadow of Wolverine in the background, constantly haunting her. That is the inherent story to this issue, that she cannot shake the specter of Wolverine. Much like Sabertooth, she is very unsettled with Wolverine’s death because it did not come by her hands. Her entire life has been devoted to aligning herself with people that could help her achieve her goal of killing Wolverine, and it never made it to completion. Now she is confused as to what her place is in the world, and what the future holds. Interesting to a point, but a tired story to say the least. The art is nice, giving a manga feel to the whole issue, which feels right because of the setting in Japan. It’s also got a brushed, almost watercolor feel to it, which makes the flow of the story more organic. But again, the story is sort of lacking in the “must read” department. I am starting to understand the true nature of this mini series. The Logan Legacy, I believe, exists to introduce each character to this new audience after the death of Wolverine, and then this will spiral into the new line, Wolverines. Even though die hard marvel fans know these characters, this acts as a stepping stone to the events that will be taking place in the void that Wolverine has left behind. So be it, but it seems a long way around to get there. 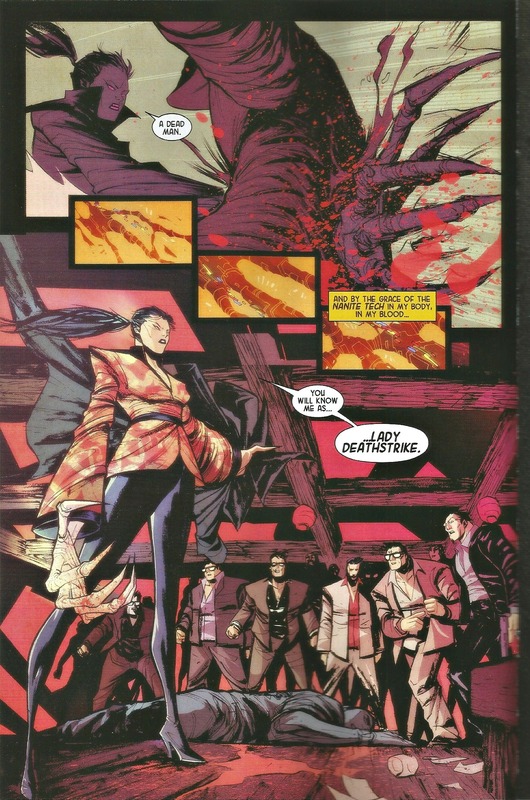 Definitely the art in this book, it is fresh and gives a nice perspective of an often poorly represented character in Lady Deathstrike. Even though the story lags a little, the art brings the key points to the foreground in a nice way. Also, the way that Lady Deathstrike comes to terms with Wolverine’s death is poignant, as her life is incredible different now because her sole purpose for living is gone. First of all, the story is flat and bland in all the wrong places. The “honor” she receives and the action she dishes out are both dull. 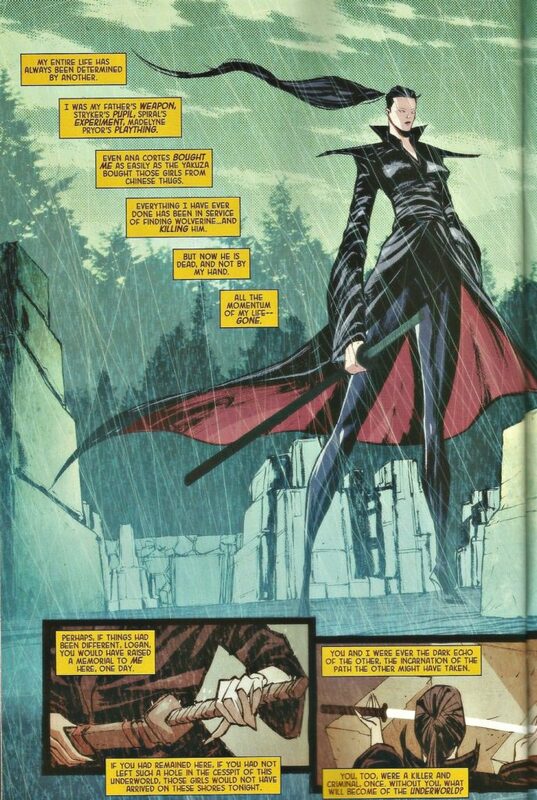 Also, she is retrieving the Honor Sword of Yashida Clan, which I am pretty sure that Nightcrawler and Colossus returned to Mariko’s grave in Life After Logan. Maybe I’m wrong, but it seems a little convoluted from that point. CBH Score: 2.5 out of 5. Get it if you are collecting the set, but don’t pick this up on a whim.